Constance Foland began her teaching career as a Peace Corps Volunteer in Cameroon, West Africa. From there she went on to study at Teachers College, Columbia, and received a degree in Teaching English as a Second Language. 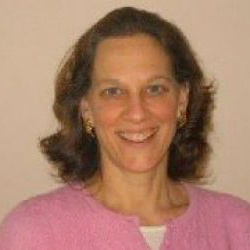 As a teacher in New York City public schools, Constance earned a certificate in Reading Recovery and worked as a reading specialist for five years. She has extensive experience in balanced literacy, with expertise in the reading/writing workshop model. She works with Pre-K-6 principals, coaches and teachers across the country to build strong literacy programs that inspire students to become excited about reading and writing. She is the author of A Song for Jeffrey and Flying High, Pogo! two middle grade novels published by American Girl Publications. She also published two retold folk tales, Mouse Deer Must be Quick and Plain White Salt as part of a teaching series for Hampton-Brown. She is currently working on When Writing Matters, a book that helps educators make writing relevant and fun for students.